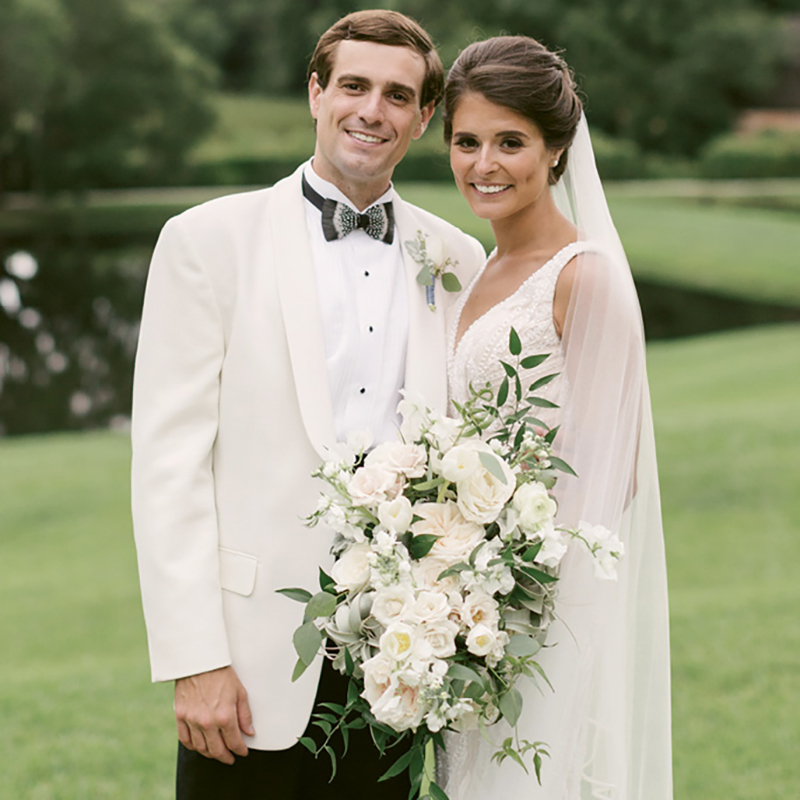 Vincent first asked Casi to dinner after they met at a bar near the University of South Carolina, and although she said ”no,” the two remained friends and got together for drinks seven years later when they both found themselves living in Charleston. A night that ”wasn’t supposed to be a date” soon grew into a relationship, and a few years later, the two were taking an evening boat ride on Shem Creek when Vincent proposed. The couple was married at Middleton Place in the octagonal gardens in front of a cross the groom built himself.